Nutrient timing involves eating foods at strategic times in order to achieve certain outcomes. It’s supposedly very important for muscle growth, sports performance and fat loss. If you’ve ever rushed for a meal or protein shake after a workout, this is nutrient timing. However, despite its popularity, the research on nutrient timing is far from convincing (1). Here is everything you need to know about nutrient timing. Nutrient timing has been used by professional bodybuilders and athletes for over 50 years, and many aspects of it have been studied (2, 3, 4). 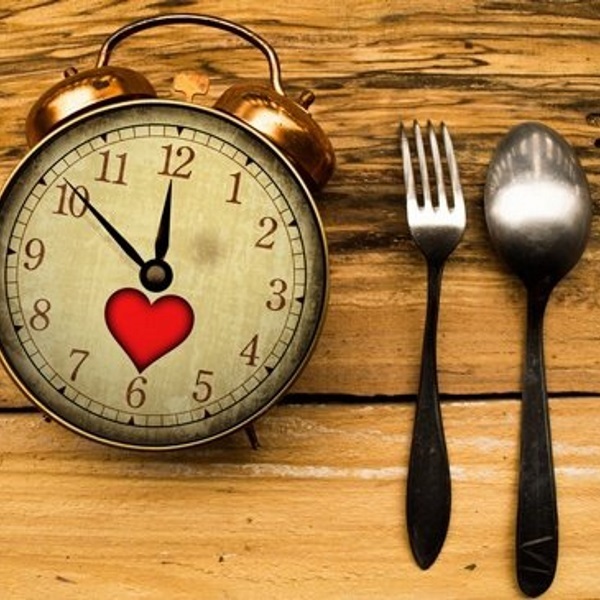 One of the world’s leading researchers in carbohydrate timing, Dr. John Ivy, has published many studies showing its potential benefits. In 2004, he published a book called Nutrient Timing: The Future of Sports Nutrition. Since then, many nutritional programs and books have promoted nutrient timing as the key method for losing fat, gaining muscle and improving performance. Short-term blood markers: Many of the studies only measure short-term blood markers, which often fail to correlate with long-term benefits (6). Ultra-endurance athletes: Many of the studies follow extreme endurance athletes, which do not necessarily represent the average person. For these reasons, the findings in much of the research that supports nutrient timing may not apply to everyone. Bottom Line: Nutrient timing has been around for several decades. Many people believe it’s vitally important, but the research has limitations. The anabolic window is the most commonly referenced part of nutrient timing (7). Also known as the window of opportunity, it’s based on the idea that the body is in the perfect condition for nutrient absorption within 15–60 minutes after exercise. However, even though research on the anabolic window is far from conclusive, it is regarded as an important fact by many professionals and fitness enthusiasts. Carb replenishment: After a workout, an immediate supply of carbs helps maximize glycogen stores, which can improve performance and recovery. Protein intake: Working out breaks down protein, so post-workout protein helps repair and initiate growth by stimulating muscle protein synthesis (MPS). Both of these principles are correct to some extent, but human metabolism and nutrition are not as black and white as many people like to think. One main aspect of the anabolic window is carb replenishment, since carbs are stored in the muscles and liver as glycogen. Research has shown that glycogen is replenished faster within 30–60 minutes after working out, which supports the anabolic window theory (8, 9). However, timing may only be relevant if you are training several times a day, or have multiple athletic events within a day. For the average person who works out once a day, there is plenty of time to replenish glycogen at each meal (10). Additionally, some research actually shows training with lower muscle glycogen to be beneficial, especially if your goal is fitness and fat loss (11). New research has even shown immediate replenishment may reduce the fitness benefits you receive from that session (12). So although immediate glycogen synthesis makes sense in theory, it does not apply to most people in most situations. The second aspect of the anabolic window is the use of protein to stimulate muscle protein synthesis (MPS), which plays a key role in recovery and growth. However, while MPS and nutrient replenishment are important parts of the recovery process, research shows that you don’t need to do this right away after a workout. Instead, focus on your total daily protein intake, and make sure you eat high-quality protein at each meal (13). A recent meta-analysis by leading researcher Dr. Brad Schoenfeld also arrived at this conclusion, summarizing that daily protein and nutrient intake is the priority (13). In short, if you meet your total daily needs for protein, calories and other nutrients, the anabolic window is less important than most people believe. Two exceptions are elite athletes or people who train several times per day, who may need to maximize fuel replenishment between sessions. Bottom Line: The anabolic window is a period of time after workouts that is said to be crucial for nutrient intake. However, studies show that most people don’t need to replenish carb or protein stores right away. The pre-workout window may actually be more important than the anabolic window. Depending on your goals, the correct timing for taking certain supplements may actually aid performance (14). For example, performance-enhancing supplements like caffeine must be taken at the right time in order to have the proper effect (15). This also applies to food. A well-balanced, easily digestible meal eaten 60–150 minutes before a workout may improve performance, especially if you have not eaten for several hours (16). In contrast, if your goal is fat loss, training with less food may help you burn fat, improve insulin sensitivity and provide other important long-term benefits (17, 18). Hydration is also closely linked to health and performance. Many people tend to be dehydrated before working out, so it may be important to drink around 12–16 oz (300–450 ml) of water and electrolytes before the workout (19, 20, 21). Additionally, vitamins may affect workout performance, and may even reduce training benefits. So although vitamins are important nutrients, it may be best not to take them close to your workout (22). Bottom Line: Nutrient timing may play an important role in pre-workout nutrition, especially if you want to maximize performance, improve body composition or have specific health goals. Recent research has shown that it doesn’t really matter if you eat breakfast or not. Instead, what you eat for breakfast has become the hot topic. Many professionals now recommend a low-carb, high-fat breakfast, which is claimed to improve energy levels, mental function, fat burning and keep you full. However, while this sounds great in theory, most of these observations are anecdotal and unsupported by research (23). And, while some studies do show greater fat burning, this is caused by the increased dietary fat intake from the meal, not because you’re burning more body fat. Additionally, some studies show that protein-based breakfasts have health benefits. However, this is likely due to the many benefits of protein, and timing probably does not play a role (24). As with the anabolic window, the breakfast myth is not supported by research. Nevertheless, if you do prefer a low-carb, high-fat breakfast, there’s no harm in that. Your breakfast choice should simply reflect your daily dietary preferences and goals. Bottom Line: There is no evidence to support one best approach for breakfast. Your breakfast should reflect your dietary preferences and goals. “Cut carbohydrates at night to lose weight”. This is another diet myth, promoted by celebrities and magazines around the world. This reduction of carbs simply helps you reduce total daily calorie intake, creating a calorie deficit — the key factor in weight loss. The timing is not important. In contrast to eliminating carbs at night, some research actually shows carbs can help with sleep and relaxation, although more research is needed on this (25). This may hold some truth, as carbs release the neurotransmitter serotonin, which helps regulate your sleep cycle. Based on the health benefits of a good night’s sleep, evening carb intake may actually be beneficial, especially if you have problems sleeping. Bottom Line: Cutting carbs at night is not a good tip for losing weight, especially since carbs may help promote sleep. However, further research is needed on this. For elite athletes, nutrient timing may provide an important competitive advantage. However, the current research doesn’t support the importance of nutrient timing for most people who are simply trying to lose weight, gain muscle or improve health. Instead, focus your efforts on consistency, daily calorie intake, food quality and sustainability. When you’ve got all the basics down, then you may wish to move your attention to more advanced methods like nutrient timing.